Targeted killing is defined as a form of assassination carried by governments against their perceived enemies. Analysts believe it to be a modern euphemism for the assassination (prominent premeditated killing) of an individual by a state organization or institution outside a judicial procedure or a battlefield. Since the late 20th century, the legal status of targeted killing has become a subject of contention within and between various nations. Historically, at least since the mid-eighteenth century, Western thinking has generally considered the use of assassination as a tool of statecraft to be illegal. Some academics, military personnel and officials describe targeted killing as legitimate within the context of self-defense, when employed against terrorists or combatants engaged in asymmetrical warfare. They argue that drones are more humane and more accurate than manned vehicles, and that targeted or "named killings" do not occur in any context other than a declared state of war. Some twenty-six members of Congress, with academics such as Gregory Johnsen and Charles Schmitz, media figures (Jeremy Scahill, Glenn Greenwald, James Traub), civil rights groups (i.e. the American Civil Liberties Union) and ex-CIA station chief in Islamabad, Robert Grenier, have criticized targeted killings as a form of extrajudicial killings, which may be illegal within the United States and possibly under international law. According to statistical analyses provided by Reprieve, 9 children have been killed for every targeted adult the United States has tried to assassinate, and, in numerous failed attempts to kill Ayman al-Zawahri, the CIA has killed 76 children and 29 adult bystanders. Targeted killings have also been used in Somalia, Kenya, Rwanda and in Libya. During fighting in the Somali Civil War, Sean Devereux described torture and killing by warlords in Kismayo as "targeted killings, a kind of ethnic cleansing", shortly before his assassination. Also in Africa, Reuters described "targeted killings of political opponents" by Hutu army and militias in Rwanda during the Rwandan Genocide. The American State Department reported the "politically targeted killings" were a prelude to general massacres in Rwanda. 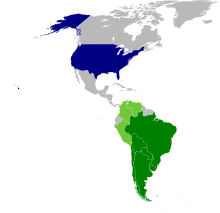 During the 1980s and 1990s, targeted killings were employed extensively by death squads in El Salvador, Nicaragua, Colombia, and Haiti within the context of civil unrest and war. During the Bush Administration, targeted killings became a frequent tactic of the United States government in the War on Terror. Time was reserved on the President's schedule on Tuesday every week for Bush to review and approve the killing of selected targets, without judicial process. Instances of targeted killing by the United States that have received significant attention include the killing of Osama bin Laden and of American citizens Anwar al-Awlaki and his teenage son in 2011. Under the Obama administration, use of targeted killings expanded, most frequently through use of combat drones operating in Afghanistan, Pakistan or Yemen. Referring to killings by drug cartels in Washington, D.C. in 1989, mayor Marion Barry infamously stated, "Washington should not be called the murder capital of the world. We are the targeted-killing capital of the world." Barry said that "targeted killings" by D.C.'s cartels were comparable to those during the days of "Al Capone and Eliot Ness" at the time of Prohibition in the United States. Similarly, drug-related "mob hits" in Moscow during the 1990s were euphemistically described as "targeted killings" by the Cox News Service and Atlanta Journal-Constitution. Operation Condor participants. Green: active members. Blue: collaborator. The U.S.-backed Operation Condor was a campaign of political repression and state terror in Latin American right-wing dictatorships involving assassination of political opponents and dissidents. The National Security Archive reported, "Prominent victims of Condor include two former Uruguayan legislators and a former Bolivian president, Juan José Torres, murdered in Buenos Aires, a former Chilean Minister of the Interior, Bernardo Leighton, as well as former Chilean ambassador Orlando Letelier and his 26-year old American colleague, Ronni Moffitt, assassinated by a car bomb in downtown Washington D.C."
An early example of American targeted killing is Operation Vengeance during World War II. This counterattack shot down the plane of Isoroku Yamamoto, the senior planner of the attack on Pearl Harbor. During the Vietnam War, the Phoenix Program targeted political leadership of the Viet Cong for assassination. While article 2(4) of the United Nations Charter prohibits the threat or use of force by one state against another, two exceptions are relevant to the question of whether targeted killings are lawful: (1) when the use of force is carried out with the consent of the host state; and (2) when the use of force is in self-defense in response to an armed attack or an imminent threat, and where the host state is unwilling or unable to take appropriate action. The legality of a targeted drone strike must be evaluated in accordance with international humanitarian law (IHL), including the fundamental principles of distinction, proportionality, humanity, and military necessity. The part of The Charter of the United Nations that regulates "action with respect to threats to the peace, breaches of the peace, and acts of aggression" is Chapter VII (articles 39-50), which requires that it is the Security Council that determines any threat to peace and decides on measures to be taken to maintain or restore peace. Article 51 mentions the only exception, as being members of the United Nations have "the inherent right of individual or collective self-defence if an armed attack occurs against a Member of the United Nations, until the Security Council has taken measures necessary to maintain international peace and security". The tactic raises complex questions as to the legal basis for its application, who qualifies as an appropriate "hit list" target, and what circumstances must exist before the tactic may be employed. Opinions range from people considering it a legal form of self-defense that reduces terrorism, to people calling it an extrajudicial killing that lacks due process, and which leads to more violence. Methods used have included firing a Hellfire missile from an AH-64 Apache attack helicopter (Israel), or a Predator or Reaper drone (an unmanned, remote-controlled plane), detonating a cell phone bomb, and long-range sniper shooting. Countries such as the U.S. (in Pakistan and Yemen) and Israel (in the West Bank and Gaza) have used targeted killing to kill members of groups such as Al-Qaeda and Hamas. Targeted killing operations, according to Harvard Law School Professors Gabriella Blum and Philip Heymann, amplify the tension between addressing terrorism as a crime versus addressing terrorism as an act of war. Governments pursuing a law enforcement strategy punish persons for their individual guilt, which must be proven in a court of law, where the accused enjoys the protections of due process guarantees. Governments in the midst of war, on the other hand, may claim a legal obligation to take advantage of the relaxation of peacetime constraints on the use of deadly force. Enemy combatants may be targeted and killed not because they are guilty, but because they are potentially lethal agents of a hostile party. No advance warning is necessary, no attempt to arrest or capture is required, and no effort to minimize casualties among enemy forces is demanded by law. Despite this inherent tension, the United States has made targeted killing—the deliberate assassination of a known terrorist outside the country’s territory, usually by airstrike—an essential part of its counter-terrorism strategy. Hence, the United States has justified the killing of terrorists under a war paradigm. "Using the war paradigm for counter-terrorism enabled government lawyers to distinguish lethal attacks on terrorists from prohibited assassinations and justify them as lawful battlefield operations against enemy combatants, much like the uncontroversial targeted killing of Japanese Admiral Isoroku Yamamoto while he was traveling by a military airplane during World War II." Further support for the U.S. government’s use of drone strike tactics is found in a report found in the Journal of Strategic Security concerning the surgical nature of drone strikes for use in a populated area. The author concedes, "Indeed the tactic of using drones promises the ability of eliminating enemies in complex environments, while minimizing the political implications of resorting to war." The domestic legislative basis offered to justify drone strikes is the Authorization for Use of Military Force Against Terrorists (AUMF), a joint resolution of both houses of Congress passed exactly one week after 11 September 2001. The AUMF permits the President to use "all necessary and appropriate force against those nations, organizations, or persons he determines planned, authorized, committed, or aided the terrorist attacks that occurred on 11 September 2001, or harbored such organizations or persons". A report published in the Journal of Strategic Security focusing on the future of drones in geopolitics finds the U.S. government's use of drones in targeted killing operations and "indiscriminant and disproportionate use of force that violates the sovereignty of Pakistan". In early 2010, with President Barack Obama's approval, Anwar al-Awlaki became the first U.S. citizen to be approved for targeted killing by the Central Intelligence Agency (CIA). Awlaki was killed in a drone strike in September 2011. A Reuters report analysing the killing of 500 "militants" by US drones between 2008 and 2010 found that only 8% of those killed were mid- to top-tier organisers or leaders; the rest were unidentified foot soldiers. — John O. Brennan in his 2012-04-30 speech "The Ethics and Efficacy of the President's Counterterrorism Strategy"
In a speech titled "The Ethics and Efficacy of the President's Counterterrorism Strategy" John O. Brennan, Assistant to the President for Homeland Security and Counterterrorism, outlined on 30 April 2012 at the Wilson Center the use of combat drones to kill members of al-Qaeda by the US Federal government under President Barack Obama. John Brennan acknowledged for the first time that the US government uses drones to kill selected members of al-Qaeda. He justified the use of drones both from domestic law and international law point of view. With respect to domestic law Brennan stated, "as a matter of domestic law, the Constitution empowers the President to protect the nation from any imminent threat of attack. The Authorization for Use of Military Force (AUMF) passed by Congress after the September 11 attacks authorizes the president "to use all necessary and appropriate force" against those nations, organizations and individuals responsible for 9/11. There is nothing in the AUMF that restricts the use of military force against al-Qa'ida to Afghanistan." And he further said: "As a matter of international law, the United States is in an armed conflict with al-Qa'ida, the Taliban, and associated forces, in response to the 9/11 attacks, and we may also use force consistent with our inherent right of national self-defense. There is nothing in international law that bans the use of remotely piloted aircraft for this purpose or that prohibits us from using lethal force against our enemies outside of an active battlefield, at least when the country involved consents or is unable or unwilling to take action against the threat." The speech came a few days after Obama authorized the CIA and the U.S. Joint Special Operations Command (JSOC) to fire on targets based solely on their intelligence "signatures" — patterns of behavior that are detected through signals intercepts, human sources and aerial surveillance, and that indicate the presence of an important operative or a plot against U.S. interests. Under the previous rules the CIA and the US military were only allowed to use drone strikes against known terrorist leaders whose location could be confirmed and who appeared on secret CIA and JSOC target lists. The justification by Brennan built upon remarks by US top officials like the State Department's top lawyer Harold Hongju Koh, US Attorney General Eric Holder, the US Defense Department general counsel Jeh Johnson and President Obama himself who defended the use of drones outside of so-called "hot battlefields" like Afghanistan. In 2011/2012, the process for selecting targets outside of warzones was altered so that power was concentrated in the hands of a group of people in the White House centered around White House counterterror chief John Brennan. Under the new plan, Brennan's staff compiles the potential target list and runs the names past agencies such as the State Department at a weekly White House meeting. According to the New York Times, President Obama has placed himself at the helm of a top secret process to designate terrorists for kill or capture, reserving the final say on approving lethal action, and signs off every strike in Yemen, Somalia and Pakistan. U.S. Congressional oversight over the targeted killing operations increased as the drone program intensified under the Obama Administration. Once a month, a group of staff members from the House and Senate intelligence committees would watch videos of the latest drone strikes, review intelligence that was used to justify each drone strike, and sometimes examine telephone intercepts and after-the-fact evidence, such as the CIA's assessment of who was hit. The procedure used by House and Senate intelligence committees to monitor CIA drone strikes was set up largely at the request of Senator Dianne Feinstein who became determined to ensure that it was as precise as the CIA had been claiming. "That's been a concern of mine from the beginning," Feinstein said in little-noticed comments after the raid that killed Osama bin Laden in May 2011. "I asked that this effort be established. It has been. The way in which this is being done is very careful." Feinstein explained how the oversight works in general. "We receive notification with key details shortly after every strike, and we hold regular briefings and hearings on these operations," Feinstein wrote in May in a letter sent in response to a column that ran in the Los Angeles Times questioning the oversight of drone strikes. "Committee staff has held 28 monthly in-depth oversight meetings to review strike records and question every aspect of the program including legality, effectiveness, precision, foreign policy implications and the care taken to minimize noncombatant casualties." If the congressional committees objected to something, the lawmakers could call CIA leaders to testify in closed investigative hearings. If unsatisfied, they could pass legislation limiting the CIA's actions. Congressional criticism of drone strikes has been rare. However, in June 2012, 26 lawmakers, all but two of them Democrats, signed a letter to Obama questioning so-called signature strikes, in which the U.S. attacks armed men who fit a pattern of behavior that suggests they are involved in terrorist activities. Signature strikes have been curbed in Pakistan, where they once were common, but in 2012 Obama gave the CIA permission to conduct them in Yemen, where an Al Qaeda affiliate that has targeted the United States has established a safe haven in the south. The lawmakers expressed concern that signature strikes could kill civilians. They added: "Our drone campaigns already have virtually no transparency, accountability or oversight." While the Bush administration had put emphasis on killing significant members of al Qaeda, the use of combat drones underwent a quiet and unheralded shift during the Obama Administration to focus increasingly on killing militant foot soldiers rather than high-value targets according to CNN National Security Analyst Peter Bergen. Bergen noted: "To the extent that the targets of drone attacks can be ascertained, under Bush, al Qaeda members accounted for 25% of all drone targets compared to 40% for Taliban targets. Under Obama, only 8% of targets were al Qaeda compared to just over 50% for Taliban targets." Facing the possibility of defeat in the 2012 Presidential election, the Obama administration accelerated work in the weeks before the election to develop explicit rules for the targeted killing of terrorists by unmanned drones, so that a new president would inherit clear standards and procedures. The work to codify U.S. drone policy began in summer 2011. "There was concern that the levers might no longer be in our hands," said one unnamed U.S official. With a continuing debate about the proper limits of drone strikes, Obama did not want to leave an "amorphous" program to his successor, the official said. The effort, which would have been rushed to completion by January had Mitt Romney won, will now be finished at a more leisurely pace, the official said. "One of the things we've got to do is put a legal architecture in place, and we need Congressional help in order to do that, to make sure that not only am I reined in but any president's reined in terms of some of the decisions that we're making," Obama said and added "creating a legal structure, processes, with oversight checks on how we use unmanned weapons, is going to be a challenge for me and my successors for some time to come." U.S. President Obama also expressed wariness of the powerful temptation drones pose to policy makers. "There's a remoteness to it that makes it tempting to think that somehow we can, without any mess on our hands, solve vexing security problems," he said. In response lawsuits brought by The New York Times and the American Civil Liberties Union seeking to use the Freedom of Information Act to make public more details about the legal basis for the drone programs U.S. District Court Judge Colleen McMahon ruled at the end of December 2012 that the U.S. Government has no legal duty to disclose legal opinions justifying the use of drones to kill suspected terrorist operatives abroad. While noting that a more detailed disclosure of the administration's legal rationale "would allow for intelligent discussion and assessment of a tactic that (like torture before it) remains hotly debated", McMahon came to the conclusion that the Freedom of Information Act did not permit her to require such transparency. First, there must be a legal basis for using lethal force. Second, the United States will use lethal force only against a target that poses a continuing, imminent threat to U.S. persons. U.S. President Barack Obama touched on the subject of combat drones in a speech on Counterterrorism delivered on 23 May 2013 at the National Defense University. "It is a hard fact that US strikes have resulted in civilian casualties," he said, adding, "These deaths will haunt us. But as commander-in-chief I must weigh these heartbreaking tragedies against the alternative. To do nothing in the face of terrorist networks would invite far more civilian casualties." Obama said new guidance allowed targeting only those terrorists posing "a continuing and imminent threat to the American people", which administration officials said meant only individuals planning attacks on the U.S. homeland or against U.S. persons abroad. Obama defended the use of drones as just because America "is at war with al Qaeda, the Taliban and their associated forces". To stop terrorists from gaining a foothold, drones will be deployed according to Obama, but only when there is an imminent threat; no hope of capturing the targeted terrorist; "near certainty" that civilians won't be harmed; and "there are no other governments capable of effectively addressing the threat". Never will a strike be punitive. A report by Ben Emmerson QC, the UN's special rapporteur on human rights and counter-terrorism, who identified 33 drone strikes around the world that have resulted in civilian casualties and may have violated international humanitarian law urged the United States "to further clarify its position on the legal and factual issues ... to declassify, to the maximum extent possible, information relevant to its lethal extraterritorial counter-terrorism operations; and to release its own data on the level of civilian casualties inflicted through the use of remotely piloted aircraft, together with information on the evaluation methodology used". Human Rights Watch said that in Yemen more civilians were killed than admitted by the Obama administration, while Amnesty International said the same of drone strikes in Pakistan. Caitlin Hayden, a White House spokeswoman, declined to comment on the reports, but said in an e-mail statement: "As the President emphasized, the use of lethal force, including from remotely piloted aircraft, commands the highest level of attention and care." While the U.S. government is considering whether to kill an American abroad suspected of planning terrorist attacks and how to do so legally under new stricter targeting policy issued in 2013, The Intercept reported that the U.S. government is using primarily NSA surveillance to target people for drone strikes overseas. In its report The Intercept the author details the flawed methods which are used to locate targets for lethal drone strikes, resulting in the deaths of innocent people. According to the Washington Post, NSA analysts and collectors (i.e. NSA personnel who control electronic surveillance equipment) use the NSA's sophisticated surveillance capabilities to track individual targets geographically and in real time, while drones and tactical units aim their weaponry against those targets to take them out. "A lawful killing in self-defense is not an assassination. In the Department's view, a lethal operation conducted against a U.S. citizen whose conduct poses an imminent threat of violent attack against the United States would be a legitimate act of national self-defense that would not violate the assassination ban. Similarly, the use of lethal force, consistent with the laws of war, against an individual who is a legitimate military target would be lawful and would not violate the assassination ban." In 2013, a report on drone warfare and aerial sovereignty proposed that U.S. government drone policy in Pakistan potentially violated human rights according to the U.N. International Covenant on Civil and Political Rights. The rights in direct question were the right to life; right to a fair trial; the freedom of association; right to protection of the family; and, less directly, right to highest attainable health standards; right to education; and right of freedom from hunger. On 21 April 2014, the United States Court of Appeals for the Second Circuit overturned the above-mentioned December 2012 ruling by U.S. District Judge Colleen McMahon and ruled that the Obama administration must release documents justifying its drone-killings of Americans and foreigners. The 2nd U.S. Circuit Court of Appeal released on 23 June 2014 a Juli 2010 memo by then U.S. Justice Department's Office of Legal Counsel David Barron which outlined the rationale for killing the American Citizen Anwar al-Aulaqi. CIA-ordered drone strikes were eventually ended by President Obama, who transferred control entirely to the U.S. military, under a separate legal authority. President Trump reversed this decision in 2017. Alleged and confirmed assassinations were reported to have been conducted by the Islamic Republic of Iran and previously by the Pahlavi regime. It includes attempts on notable persons who were reported to have been specifically targeted by the various Iranian security and intelligence forces, most notably against Kurdish dissidents of the Kurdish Democratic Party of Iran in the 1980s and 1990s. Prior to the establishment of the Islamic State in 1979, the Organization of Intelligence and National Security also allegedly performed a number of political motivated assassinations against dissidents and opposition leaders. According to Ronen Bergman, "since World War II, Israel has used assassination and targeted-killing more than any other country in the West, in many cases endangering the lives of civilians." During the First Intifada Palestinian uprising, the Palestinian human-rights group Al Haq condemned Israeli soldiers for what they described as "deliberate, cold-blooded... targeted" killings of Palestinians in the West Bank and Gaza Strip. The human rights group, Middle East Watch, alleged in 1993 that interviewed Israeli soldiers had targeted often unarmed Palestinians, some under the age of 16, for "premeditated assassinations" or targeted killing, a charge denied by Israeli officials. The allegations included the execution of Palestinians in custody. Controversy over targeted killings continued during the Second Intifada. Palestinians charged that individuals belonging to the group Hamas and shot in targeted killings were being assassinated; Israeli stated that those killed were responsible for attacks against Israelis. Israeli officials initially accepted responsibility for only some of the killings, and Israeli media termed the practice a "liquidations policy", whereas Palestinians called it "state terrorism". In January 2001 Israeli officials confirmed "the practice of targeted assassinations". Conflict in Israeli over the legality of the practice centered on the case of Dr. Thabet Thabet, assassinated as he left his home on New Year's Eve. Dr. Thabet was alleged by the Israeli military to be a senior local leader of Fatah and plotting attacks against Israelis in the West Bank. A dentist, Dr. Thabet was also a friend of many Israeli peace activists and considered one himself. Israeli activists called the killing "a crime", "Mafia-style", and "immoral". Ephraim Sneh, then Israeli Deputy Prime Minister, described the policy as "effective, precise and just". The Washington Post commented that Israeli policy of targeted killing during the Second Intifada expanded upon previous policies, targeting not only terrorists but also those thought to direct or coordinate them. Another controversial killing, which occurred following the Bush Administration's condemnation of the practice, was that of Mahmoud Madani, a leader of Hamas shot while leaving a mosque in the Balata refugee camp. The Israeli military suspected Madani of plotting bombings in Israel. At that time, spokesman for the U.S. State Department Richard Boucher condemned both violence by Palestinians and targeted killings by Israelis during a State Department news briefing. U.S. Secretary of State Colin Powell registered his opposition to "a policy of targeted killings" and the U.S. State Department urged Israel to stop them. Then Democratic Party senator Joseph Biden criticized the George W. Bush Administration for condemning the targeted killings; the administration continued to oppose them. Operation Wrath of God against Black September and Palestinian Liberation Organisation personnel alleged to have been directly or indirectly involved in the 1972 Munich massacre, led to the Lillehammer affair. Operation Spring of Youth against top Palestine Liberation Organisation leaders in Beirut, 1973: Muhammad Najjar, Kamal Adwan, and Kamal Nasser. Wadie Haddad, PFLP-EO leader who was responsible for the Entebbe hijacking. Mossad is suspected of killing him in 1978 by poisoning his toothpaste. Abbas al-Musawi, Secretary General of Hezbollah, killed when Israeli Apache helicopters fired missiles at his motorcade in southern Lebanon on 16 February 1992. His wife, his five-year-old son, and four others were also killed. Emad Akel, Hamas commander, killed by Israeli soldiers in disguise near a house in Shuja'iyya, 1993. Fathi Shaqaqi, Secretary-General of the Palestinian Islamic Jihad, killed by a Mossad team in front of a Maltese hotel on 26 October 1995. Abu Ali Mustafa, secretary-general of the Popular Front for the Liberation of Palestine, killed by an Israeli helicopter missile strike at his office in the West Bank town of Ramallah on 27 August 2001. Salah Mustafa Muhammad Shehade killed by a one-ton bomb during July 2002 in Gaza. Also killed were 11 civilians, including Shehadeh's wife and three sons, and four other children. Ahmed Ismail Yassin killed along with 7 other bystanders on Friday morning, 22 March 2004, when an AH-64 Apache helicopter fired Hellfire missiles as he exited a mosque in the al-Sabra neighborhood of Gaza. Naif Abu-Sharah, local commander of the al-Aqsa Martyrs' Brigades in Nablus, killed with other two senior militants during an Israeli raid in the West Bank on 27 June 2004. Jamal Abu Samhadana killed with three other militants on 8 June 2006, when an Israeli Apache helicopter fired four missiles at a PRC camp in Rafah. Possible targeted killing: Imad Mugniyah, a senior Hezbollah commander, was killed in February 2008 in a car bomb. The Israeli Mossad is alleged to have been behind the killing. Nizar Rayan killed by an Israeli airstrike on 1 January 2009 with 15 relatives when a 2,000-pound bomb was dropped on his house. Possible targeted killing: Mahmoud al-Mabhouh, a senior Hamas commander and one of the founders of the al-Qassam Brigades, was killed in January 2010 by being electrocuted and/or drugged with succinylcholine, a quick-acting paralytic, and then suffocated in his room in a five-star Dubai hotel; the Dubai police said that the Israeli Mossad was behind the killing. Zuhir al-Qaisi, secretary-general of the Popular Resistance Committees, killed with another senior militant in a missile strike by IDF aircraft on 9 March 2012 while he was driving his vehicle in western Gaza city. Ahmed Jabari killed by an Israeli drone strike on 14 November 2012 while he was traveling with his bodyguard along Omar Mukhtar Street in Gaza City. Raed al Atar killed with two other top Hamas commanders by an Israeli airstrike in Rafah on 21 August 2014. Jihad Mughniyah killed on 18 January 2015 by an Israeli airstrike in the Syrian-controlled Golan Heights along with five other prominent members of Hezbollah and six IRGC commanders, including a General. Samir Kuntar killed with other seven Syrian nationals on 20 December 2015 by an Israeli airstrike in Jaramana, Syria. Mohamed Zouari, designer of drones for Hamas, shot to death in Sfax, Tunisia, on December 15, 2016. Mossad is suspected. Aziz Asbar, senior Syrian scientist responsible for long-range rockets and chemical weapons programs, killed in a car bomb in Masyaf, Syria, on August 5, 2018. Mossad is suspected. Use of targeted killings by Israeli conventional military forces became commonplace after the Second Intifada, when Israeli security forces used the tactic to kill Palestinian militants. In the Philippines, since Rodrigo Duterte assumption of the presidency in 2016, police and vigilantes have targeted drug related criminal suspects, with many cases, some involving children, thought to be the result of police extrajudicial executions. The group Human Rights Watch has described these extrajudicial killings as "targeted killings". During a 2016 visit to Damascus, British statesman David Davis was shown by Syria's Bashar al-Assad a spreadsheet outlining the identities of 783 whose targeted killing he had approved. Referring to human rights abuses during the Bosnian War, the U.S. State Department noted politically or ethnically motivated "targeted killings" in Bosnia in Section 1a., "Political and Other Extrajudicial Killing", of its 1993 report on human rights practices in Bosnia and Herzegovina. [verification needed] Targeted killings were also reported by Serbian and Albanian forces during the Kosovo War. Both wars involved large scale targeted killings of journalists. On 20 March 2002, Ibn al-Khattab, who led his militia against Russian forces in Chechnya during the First and Second Chechen War, setting up many effective ambushes against Russian forces as well as managing the influx of foreign fighters and money, was killed when a Dagestani messenger hired by the Russian FSB gave Khattab a poisoned letter. Chechen sources said that the letter was coated with "a fast-acting nerve agent, possibly sarin or a derivative". On 13 February 2004, Zelimkhan Yandarbiyev, who served as acting president of the breakaway Chechen Republic of Ichkeria between 1996 and 1997, was killed when a bomb ripped through his SUV in the Qatari capital, Doha. Yandarbiyev was seriously wounded and died in hospital. His 13-year-old son Daud was seriously injured. The day after the attack, Qatari authorities arrested three Russians in a Russian embassy villa. One of them, the first secretary of the Russian Embassy in Qatar, Aleksandr Fetisov, was released in March due to his diplomatic status and the remaining two, the GRU agents Anatoly Yablochkov (also known as Belashkov) and Vasily Pugachyov (sometimes misspelled as Bogachyov), were charged with the assassination of Yandarbiyev, an assassination attempt of his son Daud Yandarbiyev, and smuggling weapons into Qatar. There were some speculations that Fetisov had been released in exchange for Qatari wrestlers detained in Moscow. On 30 June 2004, both Russians were sentenced to life imprisonment; passing the sentence, the judge stated that they had acted on orders from the Russian leadership. But on 23 December 2004, Qatar agreed to extradite the prisoners to Russia, where they would serve out their life sentences. The agents however received a heroes' welcome on returning to Moscow in January 2005 but disappeared from public view shortly afterwards. The Russian prison authorities admitted in February 2005 that they were not in jail, but said that a sentence handed down in Qatar was "irrelevant" in Russia. On 10 July 2006 Shamil Basayev, a Chechen militant leader who was alleged to be responsible for numerous guerrilla attacks on security forces in and around Chechnya and the 2002 Moscow theater hostage crisis and described by ABC News as "one of the most-wanted terrorists in the world", was killed by an explosion near the border of North Ossetia in the village of Ali-Yurt, Ingushetia, a republic bordering Chechnya. According to the official version of Basayev's death, the FSB, following him with a drone, spotted his car approach a truck laden with explosives that the FSB had prepared, and by remote control triggered a detonator in the explosives. Alexander Litvinenko was poisoned with polonium, which a public inquiry in the UK concluded was carried out by FSB agents. US and UK intelligence agents reportedly say they believe Russian assassins and possibly the Russian government could have been behind at least fourteen targeted killings on British soil, which were dismissed as non-suspicious by UK police. Ukrainian authorities have blamed Russian security services for multiple killings in Ukraine. The Russian government is alleged by the British government of being behind a failed assassination attempt on Sergei Skripal and his daughter using a Novichok agent. Daniel Reisner, who headed the International Legal Division of the Israeli Military Advocate General's Office from 1994 to 2005, has stated that although targeted killing is illegal under previous understanding of international law, "If you do something for long enough, the world will accept it. The whole of international law is now based on the notion that an act that is forbidden today becomes permissible if executed by enough countries." Reisner continues, "International law progresses through violations. We invented the targeted assassination thesis and we had to push it. At first there were protrusions that made it hard to insert easily into the legal moulds. Eight years later it is in the center of the bounds of legitimacy." This view is disputed by George Bisharat of the University of California's Hastings College of the Law, who contends that assassination is not widely regarded as legal. Georgetown Law Professor and former U.S. Marine, Gary Solis, has argued that under certain conditions, "Assassinations and targeted killings are very different acts." For Solis, these conditions require that there is an ongoing military conflict, the targeted individual (civilian or military) has taken up arms, that there is no reasonable possibility of arrest, and that the decision to kill is made by senior political leaders. Abraham Sofaer, a former legal advisor to the U.S. State Department and fellow at the conservative Hoover Institution think tank, has written that targeted killing is "sometimes necessary, because leaders are obliged to defend their citizens". After the killing of Hamas founder and quadriplegic Ahmed Yassin by Israeli helicopter gunships, Sofaer argued that targeted killing is not prohibited by American Executive Order 11905 banning assassination: "killings in self-defense are no more 'assassinations' in international affairs than they are murders when undertaken by our police forces against domestic killers." Sofaer had previously argued during the First Gulf War that targeted killing was ethical but impractical: "Targeted killing will also invite revenge against the leaders who order it as well as their citizens and property. Given the legal, political and moral constraints that limit such activities in democratic regimes, the United States has a substantial interest in discouraging acceptance of the killing of political leaders as a routine measure, even in self-defense." Author and former U.S. Army Captain Matthew J. Morgan has argued, "there is a major difference between assassination and targeted killing.... targeted killing [is] not synonymous with assassination. Assassination ... constitutes an illegal killing." Amos Guiora, formerly an Israel Defense Forces Lt. Colonol and commander of the IDF school of military law, now Professor of law at the University of Utah, has written, "targeted killing is ... not an assassination". Steve David, Johns Hopkins Associate Dean & Professor of International Relations, writes: "there are strong reasons to believe that the Israeli policy of targeted killing is not the same as assassination." Syracuse Law Professor William Banks and GW Law Professor Peter Raven-Hansen write: "Targeted killing of terrorists is ... not unlawful and would not constitute assassination." Rory Miller writes: "Targeted killing ... is not 'assassination'", and associate professor Eric Patterson and Teresa Casale write: "Perhaps most important is the legal distinction between targeted killing and assassination." American defense department analyst and professor Thomas Hunter has defined targeted killing as the "premeditated, preemptive, and intentional killing of an individual or individuals known or believed to represent a present or future threat to the safety and security of a state through the affiliation with terrorist groups or individuals. Hunter writes that the target is a person who is allegedly taking part in an armed conflict or terrorism, whether by bearing arms or otherwise, who has allegedly lost the immunity from being targeted that he would otherwise have under the Third Geneva Convention. Hunter distinguishes between "targeted killing" and "targeted violence" as used by specialists who study violence. In response to the terrorist attacks on 9/11, the Authorization for Use of Military Force (AUMF) stated on 14 September 2001, "That the President is authorized to use all necessary and appropriate force against those nations, organizations or persons he determines planned, authorized, harbored, committed, or aided in the planning or commission of the attacks against the United States that occurred on 11 September 2001, and to deter and pre-empt any future acts of terrorism or aggression against the United States". This authorization is still in effect today. There are no restrictions regarding the physical location of where this law is applied. It only states that the President has the "authority to use all necessary and appropriate force" this could be interpreted to mean that the President can attack al-Qaeda anywhere in the world. During the 1998 bombing of Iraq, The Scotsman reported, "US law prohibits the targeted killing of foreign leaders... Administration officials have been careful to say they will not expressly aim to kill Saddam." In 2001, Ibrahim Nafie criticized the U.S. for agreeing with "the Israeli spin that calls ... its official policy of assassinating Palestinian leaders 'targeted killing'." In 2013, United Nations Special Rapporteur on human rights and counter terrorism, Ben Emmerson, stated that U.S. drone strikes may have violated international humanitarian law. For drone strikes to be effective, the United States must obtain consent from the host country they are operating in. The growing chorus of objections from host countries, most notably emanating from Pakistan, seriously inhibits drones’ effectiveness. "Host states have grown frustrated with U.S. drone policy, while opposition by non-host partners could impose additional restrictions on the use of drones. Reforming U.S. drone strike policies can do much to allay concerns internationally by ensuring that targeted killings are defensible under international legal regimes that the United States itself helped establish and by allowing U.S. officials to openly address concerns and counter misinformation." Micah Zenko at the Council on Foreign Relations believes the United States should "end so-called signature strikes, which target unidentified militants based on their behavior patterns and personal networks, and limit targeted killings to a small number of specific terrorists with transnational ambitions. He wants more congressional oversight of drone strikes and stricter regulation on armed drone sales. Finally, he recommends the United States work with international partners to establish rules and norms governing the use of drones. Zenko believes the U.S. government has not been transparent regarding how non-battlefield drone strikes are reconciled with broader foreign policy objectives, the scope of legitimate targets, and their legal framework. While drones may be a critical counterterrorism tool that advances U.S. interests, their "lack of transparency threatens to limit U.S. freedom of action and risks proliferation of armed drone technology without the requisite normative framework." Zenko thinks current drone policy might share the same fate of the Bush-era enhanced interrogation techniques and warrantless wiretapping, both of which were unpopular, illegal and ultimately ended. Harvard Law School Professors Gabriella Blum and Philip Heymann cite six potential hazards of targeted killings: First, the so-called Hydra effect, or the rise of more—and more resolute—leaders to replace those who were recently "decapitated." Second, drones can drive terrorist leaders into hiding, making the monitoring of their movements, and subsequent intelligence gathering, extremely difficult. Third, "the political message flowing from the use of targeted killings may be harmful to the attacking country’s interest, as it emphasizes the disparity in power between the parties and reinforces popular support for the terrorists, who are seen as a David fighting Goliath." Fourth, when conducted in a foreign country, drone strikes run the risk of heightening tensions between the targeting government and the government in whose territory the operation is conducted. Fifth, targeted killings threaten criticism from local domestic constituencies against the government allowing strikes within their country. Finally, there is a danger of over-using targeted killings, both within and outside the war of terrorism. Daniel Byman, security studies professor at Georgetown University, argues that Washington must clarify its policies behind extrajudicial and extraterritorial killings, lest a nefarious precedent in international law is set. Additionally, Byman argues that Washington must "remain mindful of the built-in limits of low-cost, unmanned interventions, since the very convenience of drone warfare risks dragging the United States into conflicts it could otherwise avoid." Though Byman recognizes the problems inherent in using armed UAVs, he believes that they are very effective. "U.S. drones have killed an estimated 3,000 al Qaeda, Taliban, and other jihadist operatives in Pakistan and Yemen. That number includes over 50 senior leaders of al Qaeda and the Taliban--top figures who are not easily replaced." Drones have also undercut terrorists' ability to effectively communicate with its target audiences, ultimately straining their recruitment pools. To avoid attracting drones, al Qaeda operates have avoided gathering in large numbers and mitigated use of electronic devices. Byman argues that al Qaeda leaders "cannot give orders when they are incommunicado, and training on a large scale is nearly impossible when a drone strike could wipe out an entire coupe of new recruits. Drones have turned al Qaeda's command and training structures into a liability, forcing the group to choose between having no leaders and risking dead leaders." Audrey Kurth Cronin of George Mason University argues that while drones are tactically savvy, they have failed to advance the strategic goals of U.S. counter-terrorism policy. Terrorism itself is a tactic, Cronin notes, but it succeeds on a strategic plane when a shocking event is successfully leveraged for political gain. "To be effective, counter-terrorism must itself respond with a coherent strategy. The problem for Washington today is that its drone program has taken on a life of its own, to the point where tactics are driving strategy rather than the other way around." Cronin agrees with Daniel Byman of Georgetown University insofar that drones have inflicted real damage upon al Qaeda. However, "Washington now finds itself in a permanent battle with amorphous and geographically dispersed foe, one with an increasingly marginal connection to the original 9/11 plotters. In this endless contest, the United States risks multiplying its enemies and heightening their incentives to attack the country." ^ "Targeted Killings". Council on Foreign Relations. Archived from the original on 10 February 2015. Retrieved 15 February 2015. ^ Carroll, Rory (2 August 2012). "The philosopher making the moral case for US drones". The Guardian. London. Archived from the original on 18 February 2017. Retrieved 16 December 2016. ^ Shane, Scott (14 July 2012). "The Moral Case for Drones". The New York Times. Archived from the original on 18 February 2017. Retrieved 13 February 2017. ^ Gross, Michael L. (2006). "Assassination and Targeted Killing: Law Enforcement, Execution or Self-Defence?" (PDF). Journal of Applied Philosophy. 23 (3): 324. doi:10.1111/j.1468-5930.2006.00347.x. Archived (PDF) from the original on 8 August 2017. Retrieved 23 March 2017. ^ Glaser, John (13 June 2012). "House Members Call on Obama to Legally Justify 'Signature' Drone Strikes". Antiwar.com. Archived from the original on 2 May 2013. Retrieved 24 May 2013. ^ "The Assassination Complex": Jeremy Scahill & Glenn Greenwald Probe Secret US Drone Wars in New Book Archived 8 June 2016 at the Wayback Machine. Democracy Now! 3 May 2016. ^ Shamsi, Hina (3 March 2014). "Death Without Due Process". American Civil Liberties Union. American Civil Liberties Union. Archived from the original on 8 August 2014. Retrieved 15 August 2014. ^ Glaser, John (6 June 2012). "Former CIA Official Drone War Kills Innocents, Creates Terrorist Safe Havens". Antiwar.com. Archived from the original on 2 June 2013. Retrieved 24 May 2013. ^ Rosie Millard (12 November 1994). "The Making of a Saint". The Times. ^ "End Bloodbath". The Sun-Herald. Sydney, Australia. Reuters. 27 April 1994. Accessed 20 September 2012. ^ "Rwanda Human Rights Practices, 1994". Department of State Dispatch. March 1994. ^ David Johnston and David E. Sanger, "Threats and Responses: Hunt for Suspects" Archived 25 January 2017 at the Wayback Machine, The New York Times, 6 November 2002. ^ Michael York (24 March 1989). "Barry Describes Turner As 'Outstanding' Chief; Retirement Talk Said Not Under Pressure". The Washington Post. Archived from the original on 3 June 2013. Retrieved 20 September 2012. ^ Phil Gailey (27 March 1989). "The capital of killings: Drug-related crime exploding in D.C.". St. Petersburg Times (Florida). Accessed 20 September 2012. ^ Charles C Holmes (31 August 1997). "Focus on Russia's Capital: a new age of uncertainty". Atlanta Journal-Constitution. ^ McSherry, J. Patrice (2011). "Chapter 5: "Industrial repression" and Operation Condor in Latin America". In Esparza, Marcia; Henry R. Huttenbach; Daniel Feierstein. State Violence and Genocide in Latin America: The Cold War Years (Critical Terrorism Studies). Routledge. p. 107. ISBN 978-0415664578. Archived from the original on 19 July 2018. Retrieved 7 July 2018. ^ McSherry, Patrice (2005). Predatory States: Operation Condor and Covert War in Latin America. Lanham, Maryland: Rowman & Littlefield Publishers. p. 78. ISBN 978-0742536876. ^ "OPERATION CONDOR ON TRIAL: LEGAL PROCEEDINGS ON LATIN AMERICAN RENDITION AND ASSASSINATION PROGRAM OPEN IN BUENOS AIRES". nsarchive.gwu.edu. Archived from the original on 19 July 2017. Retrieved 24 March 2018. ^ a b "Rights group reports on abuses in El Salvador". United Press International. 29 May 1986. Accessed 20 September 2012. ^ Samantha Sparks (5 November 1987). "Nicaragua: rights group charges government, contra abuse". Inter Press Services. ^ Kathie Klarreich (12 August 1988). "Haiti's cry for help". The Christian Science Monitor. ^ Commission of the European Communities (3 May 1999). "Colombia: European Commission approves humanitarian aid worth euro 6.5 million". Rapid. ^ Serge F. Kovaleski (1 March 1998). "Widespread Violence Threatens Colombia's Stability; Leftist, Rightist Groups Have Killed Hundreds". The Washington Post. Archived from the original on 2 April 2015. Retrieved 21 September 2012. ^ a b "Living Under Drones: Death, Injury, and Trauma to Civilians from US Drone Practices In Pakistan" (PDF). International Human Rights and Conflict Resolution Clinic at Stanford Law School and Global Justice Clinic at NYU School of Law: 1–165, 105. September 2012. Archived from the original (PDF) on 20 January 2013. Retrieved 7 February 2013. ^ "Living Under Drones: Death, Injury, and Trauma to Civilians from US Drone Practices In Pakistan" (PDF). International Human Rights and Conflict Resolution Clinic at Stanford Law School and Global Justice Clinic at NYU School of Law: 1–165, 112. September 2012. Archived from the original (PDF) on 20 January 2013. Retrieved 7 February 2013. ^ "CHAPTER VII: ACTION with RESPECT to THREATS to the PEACE, BREACHES of the PEACE, and ACTS of AGGRESSION" Archived 25 August 2014 at the Wayback Machine". Charter of the United Nations. ^ a b c d e Gary D. Solis (2010). The Law of Armed Conflict: International Humanitarian Law in War. Cambridge University Press. ISBN 978-0-521-87088-7. Retrieved 19 May 2010. ^ Abraham D. Sofaer (26 March 2004). "Responses to Terrorism / Targeted killing is a necessary option". San Francisco Chronicle. Archived from the original on 29 August 2011. Retrieved 20 May 2010. ^ Dana Priest (8 November 2002). "U.S. Citizen Among Those Killed In Yemen Predator Missile Strike". The Tech (MIT); The Washington Post. Archived from the original on 3 December 2013. Retrieved 19 May 2010. ^ Mohammed Daraghmeh (20 February 2001). "Hamas Leader Dies in Apparent Israeli Targeted Killing". Times Daily. Archived from the original on 5 November 2015. Retrieved 20 May 2010. ^ a b c d Blum, Gabriella and Philip Heymann (June 2010). "Law and Policy of Targeted Killing" (PDF). National Security Journal: 145–170, 146. Archived (PDF) from the original on 7 September 2012. Retrieved 7 February 2013. ^ Blum, Gabriella and Philip Heymann (June 2010). "Law and Policy of Targeted Killing" (PDF). National Security Journal: 145–170, 150. Archived (PDF) from the original on 7 September 2012. Retrieved 7 February 2013. ^ "US strikes in Yemen, 2002 to present". Google Docs. Archived from the original on 25 August 2017. Retrieved 24 March 2018. ^ a b Peron, Alcides Eduardo dos Reis (2014). "The "Surgical" Legitimacy of Drone Strikes? Issues of Sovereignty and Human Rights in the Use of Unmanned Aerial Systems in Pakistan". Journal of Strategic Strategy. 4 (7): 81–93. ^ "Living Under Drones: Death, Injury, and Trauma to Civilians from US Drone Practices In Pakistan" (PDF). International Human Rights and Conflict Resolution Clinic at Stanford Law School and Global Justice Clinic at NYU School of Law: 118–119. September 2012. Archived from the original (PDF) on 20 January 2013. Retrieved 7 February 2013. ^ Frank Gardner (30 September 2011). "BBC News - Islamist cleric Anwar al-Awlaki killed in Yemen". BBC News. Archived from the original on 24 June 2012. Retrieved 5 August 2012. ^ Greg Miller (31 January 2010). "U.S. citizen in CIA's cross hairs". Los Angeles Times. Archived from the original on 7 May 2010. Retrieved 20 May 2010. ^ Greg Miller (7 April 2010). "Muslim cleric Aulaqi is 1st U.S. citizen on list of those CIA is allowed to kill". The Washington Post. Archived from the original on 15 September 2010. Retrieved 20 May 2010. ^ "The Obama Administration's Drone-Strike Dissembling Archived 25 March 2018 at the Wayback Machine". The Atlantic. 14 March 2016. ^ "Obama-led drone strikes kill innocents 90% of the time: report Archived 9 March 2018 at the Wayback Machine". The Washington Times. 15 October 2015. ^ "The Assassination Complex Archived 30 March 2018 at the Wayback Machine". The Intercept. 15 October 2015. ^ a b c d John O. Brennan (30 April 2012). "The Ethics and Efficacy of the President's Counterterrorism Strategy". Woodrow Wilson International Center for Scholars. Archived from the original on 31 October 2012. Retrieved 1 May 2012. ^ "White House in first detailed comments on drone strikes". BBC News. 30 April 2012. Archived from the original on 30 April 2012. Retrieved 1 May 2012. ^ Savage, Charlie (30 April 2012). "Top U.S. Security Official Says 'Rigorous Standards' Are Used for Drone Strikes". The New York Times. Archived from the original on 17 June 2013. Retrieved 1 May 2012. ^ Miller, Greg (30 April 2012). "Brennan speech is first Obama acknowledgment of use of armed drones". The Washington Post. Archived from the original on 1 May 2012. Retrieved 1 May 2012. ^ Mark Schone & Muhammad Lila. "Brennan Defends Drone Strikes as Pakistan and Protestor Object". ABC News. Retrieved 1 May 2012. ^ Julian E. Barnes (20 April 2012). "U.S. Shifts Policy on Secrecy of Drone Use". The Wall Street Journal. Retrieved 1 May 2012. ^ Miller, Greg (26 April 2012). "White House approves broader Yemen drone campaign". The Washington Post. Archived from the original on 6 October 2014. Retrieved 1 May 2012. ^ Hosenball, Mark (26 March 2010). "Obama Administration Official Publicly Defends Drone Attacks". The Daily Beast. Archived from the original on 28 April 2012. Retrieved 1 May 2012. ^ Richard A. Serrano & Andrew R. Grimm (5 March 2012). "Eric Holder: U.S. can target citizens overseas in terror fight". Los Angeles Times. Archived from the original on 14 July 2012. Retrieved 1 May 2012. ^ "Holder defends killings of American citizens overseas as part of war on terrorism". Fox News Channel. Associated Press. 5 March 2012. Archived from the original on 2 September 2012. Retrieved 17 August 2012. ^ Savage, Charlie (22 February 2012). "Pentagon Says U.S. Citizens With Terrorism Ties Can Be Targeted in Strikes". The New York Times. Archived from the original on 26 April 2012. Retrieved 1 May 2012. ^ "Obama defends US drone strikes in Pakistan". 31 January 2012. BBC News. 31 January 2012. Archived from the original on 1 May 2012. Retrieved 1 May 2012. ^ Stone, Andreas (30 April 2012). "John Brennan, White House Counterterrorism Chief, Defends Drone Strikes [UPDATE]". Huffington Post. Archived from the original on 22 May 2012. Retrieved 1 May 2012. ^ Dozier, Kimberly (21 May 2012). "Who will drones target? Who in the US will decide?". Salon. Associated Press. Archived from the original on 9 July 2012. Retrieved 7 July 2012. ^ Jo Becker & Scott Shane (29 May 2012). "Secret 'Kill List' Proves a Test of Obama's Principles and Will". The New York Times. Archived from the original on 14 July 2012. Retrieved 15 July 2012. ^ a b c Dilanian, Ken (25 June 2012). "Congress keeps closer watch on CIA drone strikes". Los Angeles Times. Archived from the original on 7 July 2012. Retrieved 7 July 2012. ^ a b Peter Bergen & Megan Braun (6 September 2012). "Drone is Obama's weapon of choice". CNN. Archived from the original on 8 September 2012. Retrieved 9 September 2012. ^ a b c d Shane, Scott (24 November 2012). "Election Spurred a Move to Codify U.S. Drone Policy". The New York Times. Archived from the original on 26 November 2012. Retrieved 25 November 2012. ^ Gerstein, Josh (1 January 2012). "Court: Feds can keep drone legal opinions secret". Politico. Archived from the original on 9 January 2013. Retrieved 5 January 2013. ^ McMahon, Colleen (1 January 2013). "United States District Court Southern District of New York Case 1:12-cv-00794-CM Document 55-1 Filed 01/02/13". Politico. Archived from the original on 10 January 2013. Retrieved 5 January 2013. ^ Holder, Eric (22 May 2013). "Eric Holder's May 22, 2013 letter to the U.S. Senate judiciary committee chairman Patrick J. Leahy" (PDF). U.S. Department of Justice. Archived (PDF) from the original on 2 June 2013. Retrieved 2 June 2013. ^ a b "U.S. Policy Standards and Procedures for the Use of Force in Counterterrorism Operations Outside the United States and Areas of Active Hostilities" (PDF). The White House. The White House. May 2013. Archived from the original (PDF) on 25 May 2013. Retrieved 2 June 2013. ^ Obama, Barack (23 May 2013). "Remarks by the President at the National Defense University". The White House. Archived from the original on 2 June 2013. Retrieved 2 June 2013. ^ "Fact Sheet: The President's May 23 Speech on Counterterrorism". The White House Office of the Press Secretary. The White House Office. 23 May 2013. Archived from the original on 2 June 2013. Retrieved 2 June 2013. ^ "Barack Obama defends 'just war' using drones". BBC News. 24 May 2013. Archived from the original on 30 May 2013. Retrieved 2 June 2013. ^ Monroe, Bryan (24 May 2013). "5 things we learned from Obama's speech". CNN. Archived from the original on 4 July 2013. Retrieved 2 June 2013. ^ Charlie Savage & Peter Baker (22 May 2013). "Obama, in a Shift, to Limit Targets of Drone Strikes". The New York Times. Archived from the original on 1 June 2013. Retrieved 2 June 2013. ^ Baker, Peter (23 May 2013). "Pivoting From a War Footing, Obama Acts to Curtail Drones". The New York Times. Archived from the original on 7 June 2013. Retrieved 2 June 2013. ^ Karen DeYoung & Greg Miller (23 May 2013). "Obama: U.S. at 'crossroads' in fight against terrorism". The Washington Post. Archived from the original on 1 June 2013. Retrieved 2 June 2013. ^ McKelvey, Tara (24 May 2013). "Obama shows a strong commitment to the drone programme". BBC News US & Canada. Archived from the original on 12 June 2013. Retrieved 2 June 2013. ^ DeYoung, Karen (22 May 2014). "Obama's revamp of anti-terror policies stalls". The New York Times. Archived from the original on 26 May 2014. Retrieved 27 May 2014. ^ a b c Eliott C. McLaughlin, Jamie Crawford and Joe Sterling (24 May 2013). "Obama: U.S. will keep deploying drones -- when they are only option". CNN. Archived from the original on 21 June 2013. Retrieved 2 June 2013. ^ Bowcott, Owen (18 October 2013). "Drone strikes by US may violate international law, says UN". The Guardian. Archived from the original on 18 October 2013. Retrieved 18 October 2013. ^ Whitlock, Craig (22 October 2013). "Drone strikes killing more civilians than U.S. admits, human rights groups say". The Washington Post. Archived from the original on 22 October 2013. Retrieved 22 October 2013. ^ Kimberly Dozier & Nedra Pickler (10 February 2014). "Obama officials weigh drone attack on US suspect". Associated Press. Archived from the original on 22 February 2014. Retrieved 13 February 2014. ^ "White House Fact Sheet on: U.S. Policy Standards and Procedures for the Use of Force in Counterterrorism Operations Outside the United States and Areas of Active Hostilities" (PDF). The White House. The White House. 23 May 2013. Archived from the original (PDF) on 3 February 2014. Retrieved 13 February 2014. ^ Jeremy Scahill & Glenn Greenwald (10 February 2014). "The NSA's Secret Role in the U.S. Assassination Program". The Intercept. Archived from the original on 10 February 2014. Retrieved 13 February 2014. ^ Priest, Dana (22 July 2014). "NSA growth fueled by need to target terrorists". The Washington Post. Archived from the original on 16 February 2014. Retrieved 14 February 2014. ^ a b Isikoff, Michael (4 February 2013). "Justice Department memo reveals legal case for drone strikes on Americans". NBC News. Archived from the original on 19 August 2014. Retrieved 15 August 2014. ^ a b "Undated memo entitled "Lawfulness of a Lethal Operation Directed Against a U.S. Citizen who is a Senior Operational Leader of Al Qa'ida or An Associated Force" by the U.S. Department of Justice" (PDF). NBC News. Archived (PDF) from the original on 26 August 2014. Retrieved 15 August 2014. ^ Bradley, Martha (2013). "Drones and the Chicago Convention: An Examination of the Concepts of Aerial Sovereignty, The War on Terror and the Notion of Self Defense in Relation to the Chicago Convention". University of Pretoria. ^ Wolfgang, Ben (21 August 2014). "Court rules Obama administration must justify targeted killings". The Washington Post. Archived from the original on 13 August 2014. Retrieved 15 August 2014. ^ Savage, Charlie (23 June 2014). "Justice Department Memo Approving Targeted Killing of Anwar Al-Awlaki". The New York Times. Archived from the original on 19 August 2014. Retrieved 15 August 2014. ^ Sledge, Matt (23 June 2014). "Drone Memo Justifying Anwar al-Awlaki's Killing Released". The Huffington Post. Archived from the original on 19 August 2014. Retrieved 15 August 2014. ^ "Trump Restores CIA Power To Launch Drone Strikes". Archived from the original on 22 September 2018. Retrieved 31 May 2018. ^ "German court implicates Iran leaders in '92 killings". CNN. 10 April 1997. Archived from the original on 26 November 2013. Retrieved 4 August 2017. ^ "Bakhtiar, Teymour". Bakhtiari Family. Archived from the original on 4 August 2017. Retrieved 4 August 2017. ^ "Israeli soldiers condemned for wilful killings of palestinians". Xinhua General News Service. 20 February 1990. ^ "Undercover troops have 'licence to kill' Palestinians: rights group". Agence France-Presse. 29 June 1993. ^ Derek Brown (30 June 1993). "Israeli undercover units ordered to shoot to kill, says report". The Guardian. ^ Mark Lavie (14 December 2000). "Israelis kill Palestinian in a car; Palestinians call it an assassination". Associated Press. ^ Jennifer Ludden (2 January 2001). "Israel's policy of targeted assassinations of alleged militant palestinians". NPR. ^ a b c Keith B. Richburg (8 January 2001). "Israelis Confirm Assassinations Used as Policy; Key Palestinians Targeted". The Washington Post. Archived from the original on 17 January 2013. Retrieved 20 September 2012. ^ "Key Hamas Leader is Slain". Associated Press. 1 August 2001. Archived from the original on 18 October 2016. Retrieved 20 September 2012. ^ Barry Schweid (13 February 2001). "Sharon emissaries hold talks with Bush administration officials". Associated Press Worldstream. ^ Barry Schweid (14 February 2001). "Bush urges Mideast parties to end violence". Associated Press. ^ Janine Zacharia (3 August 2001). "Sen. Biden defends targeted killings". The Jerusalem Post. ^ "B'Tselem Statistics, Objectives of a Targeted Killing" (in Hebrew). B'Tselem. March 2015. Archived from the original on 5 June 2011. Retrieved 4 October 2014. ^ “34 Years Since ‘Operation Spring of Youth.’” Israel Defense Forces. News-Today in the IDF-(Archives). 11 April 2007. ^ "Mossad chose not to nab Mengele, didn't hunt down Munich terrorists, book claims". The Times of Israel. 26 January 2018. Archived from the original on 29 January 2018. Retrieved 30 January 2018. ^ Byman, Daniel (2011). A High Price: The Triumphs and Failures of Israeli Counterterrorism. Oxford University Press. p. 222. ISBN 9780195391824. Archived from the original on 17 February 2017. Retrieved 19 February 2017. ^ "Hamas mourns its greatest martyr: Robert Fisk in Marj al-Zohour, southern Lebanon, hears how a Palestinian came to die for the Islamic 'revolution' in Israel". The Independent. 29 November 1993. Archived from the original on 31 January 2018. Retrieved 9 February 2018. ^ "Israel kills key Palestinian leader". BBC. 27 August 2001. Archived from the original on 4 August 2018. Retrieved 30 January 2018. ^ Guardian Archived 27 September 2016 at the Wayback Machine "12 Dead in Attack on Hamas." by Goldenberg, Suzanne. 23 July 2002. ^ "Hamas chief killed in air strike". 22 March 2004. Archived from the original on 26 August 2007. Retrieved 4 October 2014 – via bbc.co.uk. ^ "Eight top terrorists killed In Nablus". Israel Ministry of Foreign Affairs. 27 June 2004. Archived from the original on 31 January 2018. Retrieved 30 January 2018. ^ "Israeli Airstrike Kills Top Hamas Enforcer in Gaza". Fox News. 8 June 2006. Archived from the original on 7 February 2017. Retrieved 19 February 2017. ^ "Will Hizbullah avenge the hit on its terror chief?". Archived from the original on 22 December 2012. Retrieved 4 October 2014. ^ "Day seven: 430 killed, over 2,200 injured since Saturday". Maan News Agency. 2 January 2009. Archived from the original on 12 August 2017. Retrieved 19 February 2017. ^ "Hamas military commander 'assassinated in Dubai'". BBC News. 29 January 2010. Archived from the original on 21 February 2011. Retrieved 8 October 2010. ^ "Hamas man 'drugged and suffocated' in Dubai". BBC News. 28 February 2010. Archived from the original on 1 April 2010. Retrieved 20 May 2010. ^ "Dubai has proof Mossad killed Hamas man: report". Al Arabiya. 20 February 2010. Archived from the original on 23 February 2010. Retrieved 20 May 2010. ^ Mark Schone (17 February 2010). "Israel's Greatest Hits: Before Dubai, a History of Targeted Killing". ABC News. Archived from the original on 20 February 2010. Retrieved 20 May 2010. ^ "2 killed in Gaza strike, including terror chief". Ynetnews. 9 March 2012. Archived from the original on 31 January 2018. Retrieved 30 January 2018. ^ "Massed Israeli troops poised for invasion of Gaza". The Independent. 14 November 2012. Archived from the original on 12 October 2017. Retrieved 15 September 2017. ^ "Israeli air strike kills three Hamas commanders in Gaza". Reuters. 21 August 2014. Archived from the original on 24 September 2015. Retrieved 2 July 2017. ^ "Region on edge after Israel's deadly strike". Daily Star. 19 January 2015. Archived from the original on 15 February 2017. Retrieved 19 February 2017. ^ "Report: Six Iranians killed in Israeli strike in Syria, including Revolutionary Guards general". Jerusalem Post. 19 January 2015. Archived from the original on 16 February 2017. Retrieved 19 February 2017. ^ "Hezbollah: Samir Kuntar killed in Israeli airstrike on Damascus - Middle East News". Haaretz.com. 20 December 2015. Archived from the original on 16 February 2017. Retrieved 19 February 2017. ^ "Hamas blames Israel for killing of drone expert in Tunisia". BBC. 17 December 2016. Archived from the original on 24 June 2018. Retrieved 20 June 2018. ^ "A Top Syrian Scientist Is Killed, and Fingers Point at Israel". The New York Times. 6 August 2018. Archived from the original on 8 August 2018. Retrieved 8 August 2018. ^ "You Can Die Any Time" Human Rights Watch April 2009. ^ Department of State (March 1993). "BOSNIA AND HERZEGOVINA Human Rights Practices, 1992". Department of State Dispatch. Accessed 20 September 2012. ^ Jane Perlez (28 January 1999). "US pushes plans to end fighting in Serb province". The New York Times. Archived from the original on 17 June 2013. Retrieved 20 September 2012. ^ Niccolo Sarno (22 December 1999). "Rights: Journalists "first target" in conflicts, IFJ says". Inter Press Service. Archived from the original on 2 April 2015. Retrieved 20 September 2012. ^ Eric S. Margolis (5 April 2010). "Time to Set the Chechen Free". Archived from the original on 5 January 2012. ^ Ian R Kenyon (June 2002). "The chemical weapons convention and OPCW: the challenges of the 21st century" (PDF). The CBW Conventions Bulletin. Harvard Sussex Program on CBW Armament and Arms Limitation (56): 47. Archived (PDF) from the original on 24 September 2015. Retrieved 4 October 2014. ^ "Russia's tactics make Chechen war spread across Caucasus". Kavkaz. 16 September 2005. Archived from the original on 1 January 2014. Retrieved 4 November 2010. ^ "Russia: RFE/RL Interviews Chechen Field Commander Umarov". Rferl. 28 July 2005. Archived from the original on 17 June 2008. Retrieved 4 November 2010. ^ "Chechen Guerilla Leader Calls Russians 'Terrorists'". ABC News. 28 July 2005. Retrieved 30 March 2010. ^ "Mastermind of Russian school siege killed; Report: Chechen warlord dies in blast set by Russian agents". CNN. 10 July 2006. Archived from the original on 21 January 2009. Retrieved 23 May 2010. ^ Ликвидация с вариациями. Russian Newsweek (in Russian). 23 July 2006. Archived from the original on 28 September 2007. ^ "United States of America Practice Relating to Rule 65. Perfidy Section B. Killing, injuring or capturing an adversary by resort to perfidy". International Committee of the Red Cross. Archived from the original on 15 December 2013. Retrieved 11 December 2013. ^ John Pike. "FM 27-10 Chptr 2 Hostilities". Archived from the original on 5 February 2015. Retrieved 15 February 2015. ^ "Daniel Reisner's Profile". martindale.com. Archived from the original on 17 June 2013. Retrieved 31 January 2013. ^ a b Consent and advise Archived 30 January 2013 at the Wayback Machine, Yotam Feldman and Uri Blau, Haaretz, 29 January 2009. ^ Why Palestine Should Take Israel to Court in The Hague Archived 22 March 2017 at the Wayback Machine, George Bisharat, The New York Times, 31 January 2013. ^ Gary D. Solis (2010). The Law of Armed Conflict: International Humanitarian Law in War. Cambridge University Press. p. 542. ISBN 9781139487115. Retrieved 5 August 2012. ^ Abarham D. Sofaer (18 February 1991). "Thinking past the moment". U.S. News & World Report. ^ Amos Guiora (2004). "Targeted Killing as Active Self-Defense". Case Western Reserve Journal of International Law. 36 (319). Archived from the original on 14 January 2015. Retrieved 29 May 2010. ^ Steven R. David (September 2002). "Fatal Choices: Israel's Policy Of Targeted Killing" (PDF). The Begin-Sadat Center for Strategic Studies. Archived from the original (PDF) on 16 November 2010. Retrieved 29 May 2010. ^ a b Rory Miller (2007). Ireland and the Middle East: trade, society and peace. Irish Academic Press. ISBN 978-0-7165-2868-5. Archived from the original on 23 June 2013. Retrieved 29 May 2010. ^ "Targeted Killing and Assassination: The U.S. Legal Framework" Archived 10 October 2017 at the Wayback Machine, Banks, William C., Raven-Hansen, Peter, 37 University of Richmond Law Review 667 (2002–03). Retrieved 9 October 2010. ^ Thomas B. Hunter (2009). Targeted Killing: Self-Defense, Preemption and the War on Terrorism. ISBN 978-1-4392-5205-5. ^ a b Grimmett, R. "CRS Report for Congress" (PDF). law.umaryland.edu. Archived (PDF) from the original on 3 November 2012. Retrieved 14 March 2013. ^ The Hill: "Obama Could Bomb Iraq Without Congress Because War Authorization Never Expired" Archived 8 June 2015 at the Wayback Machine 12 June 2014. Accessed 17 February 2015. ^ Branson, Louise (14 November 1998). "Campaign to eliminate Saddam gains speed". The Scotsman. Archived from the original on 2 February 2016. Retrieved 20 September 2012. ^ Sauer, Frank/Schoernig Niklas, 2012: "Killer drones: The 'silver bullet' of democratic warfare?" Archived 17 August 2012 at the Wayback Machine, in: Security Dialogue 43 (4): 363-380, accessed 1 September 2012. ^ "Frequently Asked Questions About Targeting Killing". American Civil Liberties Union. 30 August 2010. Archived from the original on 11 August 2012. Retrieved 5 August 2012. ^ Ibrahim Nafie (31 October 2001). "Opinion | The very model of a rogue state". Al-Ahram Weekly. Archived from the original on 23 January 2011. Retrieved 20 May 2010. ^ "Drone strikes by US may violate international law, says UN Archived 30 November 2016 at the Wayback Machine". The Guardian. 18 October 2013. ^ "UN report calls for independent investigations of drone attacks Archived 24 March 2018 at the Wayback Machine". The Guardian. 18 October 2013. ^ a b c d Micah, Zenko (January 2013). Reforming U.S. Drone Strike Policies. New York: Council on Foreign Relations. p. 3. Archived from the original on 6 February 2013. Retrieved 11 February 2013. ^ a b Micah, Zenko (January 2013). Reforming U.S. Drone Strike Policies. New York, New York: Council on Foreign Relations. pp. vii. Archived from the original on 6 February 2013. Retrieved 11 February 2013. ^ a b c d e Blum, Gabriella and Philip Heymann (June 2010). "Law and Policy of Targeted Killing" (PDF). Harvard National Security Journal. 1: 165. Archived (PDF) from the original on 7 September 2012. Retrieved 11 February 2013. ^ Blum, Gabriella and Philip Heymann (June 2010). "Law and Policy of Targeted Killing" (PDF). Harvard National Security Journal. 1: 166. Archived (PDF) from the original on 7 September 2012. Retrieved 11 February 2013. ^ a b c d e Byman, Daniel (July–August 2013). "Why Drones Work: The Case for Washington's Weapon of Choice". Foreign Affairs. 92 (4). Archived from the original on 19 June 2013. Retrieved 8 July 2013. ^ a b c d Cronin, Audrey Kurth (July–August 2013). "Why Drones Fail: When Tactics Drive Strategy". Foreign Affairs. 92 (4): 44–54. Archived from the original on 13 July 2013. Retrieved 10 July 2013. Anna Goppel (2013): Killing Terrorists. A Moral and Legal Analysis. De Gruyter, Berlin. Banks, William C.; Raven-Hansen, Peter (March 2002). "Targeted Killing and Assassination: The U.S. Legal Framework" (PDF). University of Richmond Law Review. 37: 667. Archived from the original (PDF) on 10 June 2010. Byman, Daniel (March–April 2006). "Do targeted killings work?" (PDF). Foreign Affairs. Council on Foreign Relations. Archived from the original (PDF) on 30 September 2011. Hafez, Mohammed; Hatfield, Joseph (September 2006). "Do Targeted Assassinations Work? A Multivariate Analysis of Israel's Controversial Tactic during Al-Aqsa Uprising". Studies in Conflict & Terrorism. 29 (4): 359–382. doi:10.1080/10576100600641972. Vlasic, Mark V. (2012). "Assassination & Targeted Killing—A Historical and Post-Bin Laden Legal Analysis". Georgetown Journal of International Law. 43 (2): 259–333. ISSN 1550-5200. Dear, Keith (2013). "Beheading the Hydra? Does Killing Terrorist or Insurgent Leaders Work?". Defence Studies Journal. 13 (3): 293–337. doi:10.1080/14702436.2013.845383. Schlager, Scott A. & Govern, Kevin H. (2013). "'Guns for Hire, Death on Demand': The Permissibility of U.S. Outsourcing of Drone Attacks to Civilian Surrogates of the Armed Forces and Challenges to Traditional Just War Theory". Florida Journal of International Law. XXV (2): 147–206. SSRN 2341756. Sofaer, Abraham (26 March 2004). "Responses to Terrorism/Targeted killing is a necessary option". San Francisco Chronicle. Archived from the original on 29 August 2011. Kaplan, Eben (25 January 2006). "Q&A: Targeted Killings". The New York Times. Blumenfield, Laura (27 August 2006). "In Israel, leaders struggle with targeted killings; Moral, legal quandaries mark decision to use select weapon against terror". The Washington Post. Archived from the original on 11 May 2008. Barghouti, Mustafa (8 June 2007). "Targeted killing won't bring peace". The New York Times. Dromi, Uri (24 March 2010). "A targeted killing: How else is Israel meant to deal with terror?". The New York Times. Bowcott, Owen (21 June 2012). "Drone strikes threaten 50 years of international law, says UN rapporteur: US policy of using drone strikes to carry out targeted killings 'may encourage other states to flout international law'". The Guardian. London. Scahill, Jeremy (15 October 2015). "The Drone Papers: Secret military documents expose the inner workings of Obama's drone wars". The Huffington Post. "Convenient Killing: Armed Drones and the 'Playstation' Mentality" (PDF). Fellowship of Reconciliation. September 2010. Archived from the original (PDF) on 22 December 2011. Retrieved 4 December 2011. McClure, Kevin (3 June 2010). "UN official says 'targeted killings' fall into 'accountability vacuum' (Blog by Government Documents Librarian for the Downtown Campus Library at the Chicago-Kent College of Law)". govdocsblog.kentlaw.edu. Archived from the original on 17 August 2011. Raja, Kanaga (May 2010). "UN expert criticises targeted killings, US drone attacks". Third World Resurgence (237): 32–35. Archived from the original on 7 January 2012. Retrieved 4 December 2011.